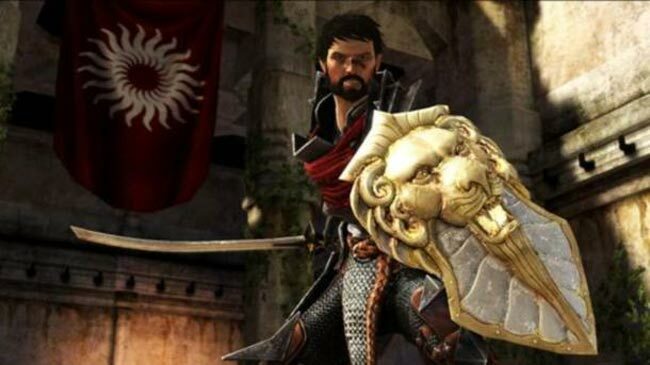 If you are thinking for pre-ordering the new Bioware Dragon Age 2 game you will be pleased to know that you will be gifted with bouns items of a sword and shield when you pre-order the new game from certain retailers. The sword called the Fadeshear, and in addition to doing bonus damage against demons and undead, it will actually continuing becoming more powerful as you level up and the shield called Lion of Orlais will increase your health while also providing a bonus to XP gain. But dont worry to much if you dont want to pre-order as the items may possibly available from an in-game shop named the Black Emporium, a shop full of magical oddities hidden beneath Kirkwall that will also include an artifact that will allow you to change your characters looks.